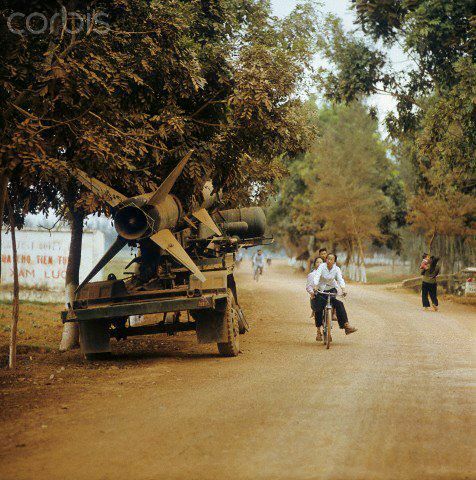 01 Mar 1973, Hanoi, Vietnam --- Vietnamese people drive on bicycles past a parked missile at the side of the street in North Vietnam along Street Number 1, photographed in March 1973. Street Number 1, built by the French, as main connection line to South Vietnam with more than 1,500 kilometres lenght was a strategic target in Vietnam War, The United States of America flew about 2,000 air attacks on cities and targets in North Vietnam during the "Christmas bombings" in 1972. The peace agreement was signed on the 27th of January in 1973 in Paris. Photo: Werner Schulze --- Image by © Werner Schulze/dpa/Corbis © Corbis. All Rights Reserved. 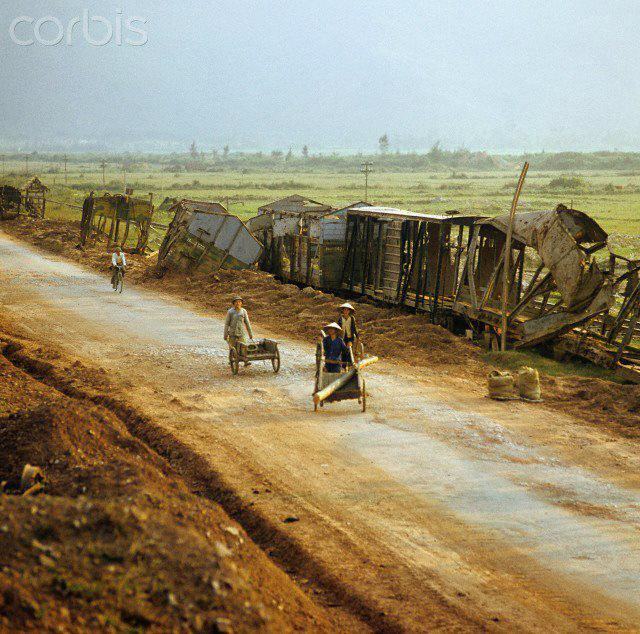 01 Mar 1973, Vinh, Vietnam --- Vietnamese with little carts and by next to destroyed buildings and freight trains at railways in North Vietnam along Street Number 1, photographed in March 1973. Street Number 1, built by the French, as main connection line to South Vietnam with more than 1,500 kilometres lenght was a strategic target in Vietnam War, The United States of America flew about 2,000 air attacks on cities and targets in North Vietnam during the "Christmas bombings" in 1972. The peace agreement was signed on the 27th of January in 1973 in Paris. Photo: Werner Schulze --- Image by © Werner Schulze/dpa/Corbis © Corbis. All Rights Reserved. 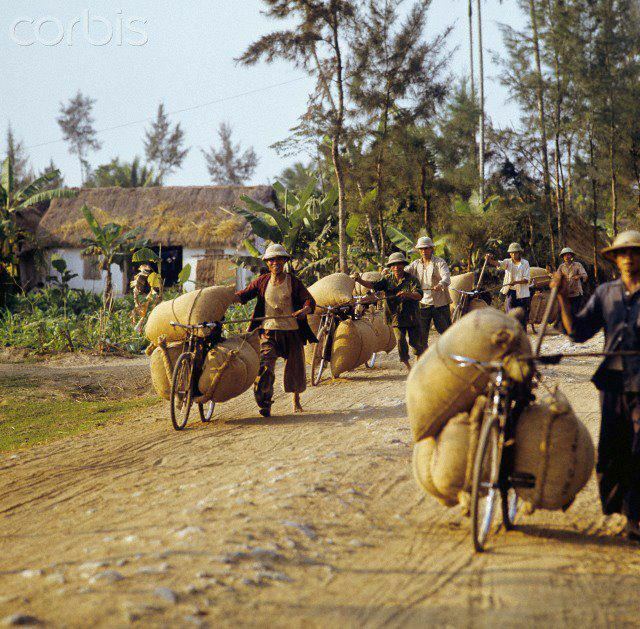 01 Mar 1973, Vinh, Vietnam --- Vietnamese people transport big bags, many of them filled with rice, on Street Number 1 in direction of Hanoi, photographed in March 1973 in North Vietnam. 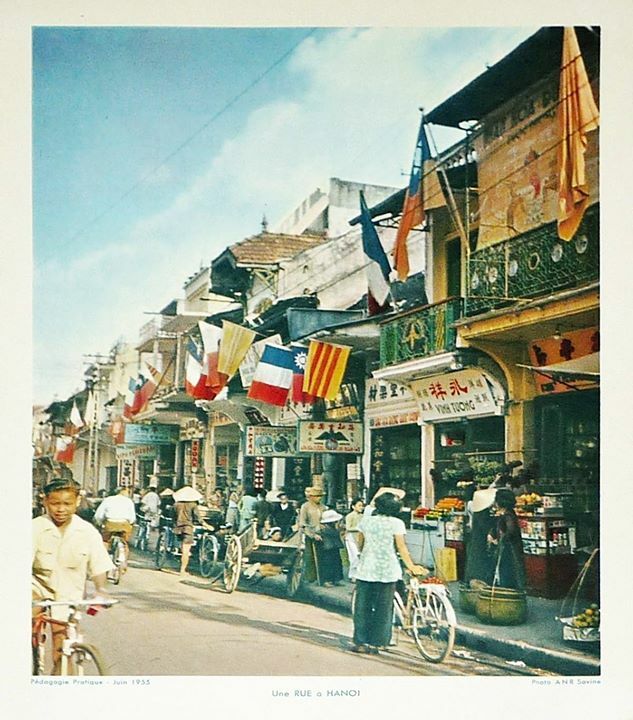 Street Number 1, built by the French, as main connection line to South Vietnam with more than 1,500 kilometres lenght was a strategic target in Vietnam War, The United States of America flew about 2,000 air attacks on cities and targets in North Vietnam during the "Christmas bombings" in 1972. The peace agreement was signed on the 27th of January in 1973 in Paris. Photo: Werner Schulze --- Image by © Werner Schulze/dpa/Corbis © Corbis. All Rights Reserved. 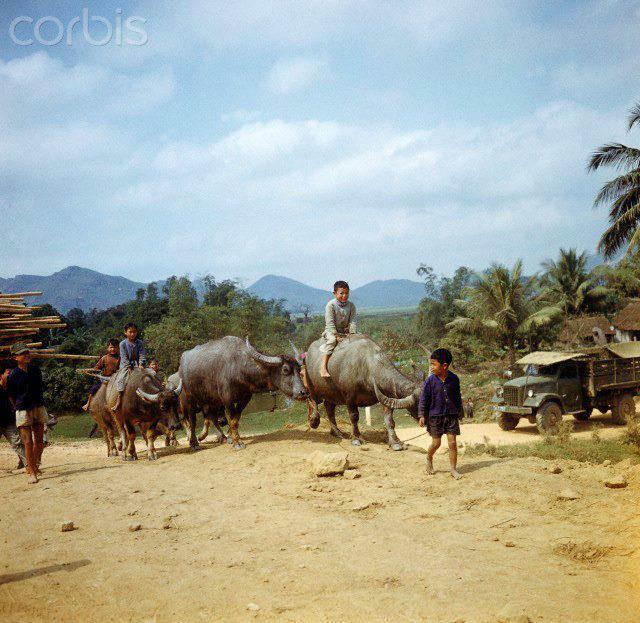 01 Mar 1973, Vinh, Vietnam --- Children and young Vietnamese people lead water buffalos towards a village along Street Number 1 in North Vietnam, photographed in March 1973 near Vinh. 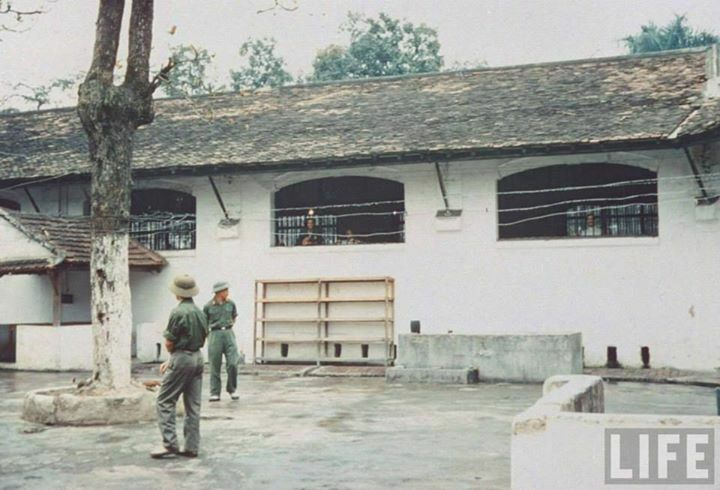 Street Number 1, built by the French, as main connection line to South Vietnam with more than 1,500 kilometres lenght was a strategic target in Vietnam War. The United States of America flew about 2,000 air attacks on cities and targets in North Vietnam during the "Christmas bombings" in 1972. The peace agreement was signed on the 27th of January in 1973 in Paris. Photo: Werner Schulze --- Image by © Werner Schulze/dpa/Corbis © Corbis. All Rights Reserved. 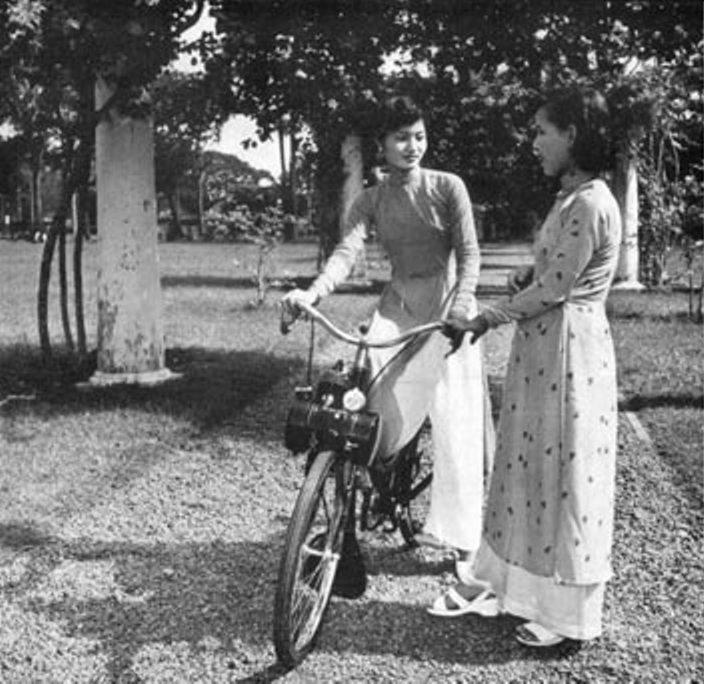 01 Mar 1973, Hanoi, Vietnam --- Vietnamese people with bicycles and a motorcycle from the GDR in a street in Hanoi in North Vietnam, photographed in March 1973. 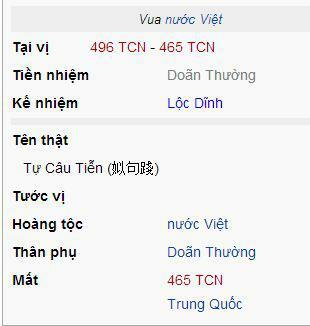 The United States of America flew about 2,000 air attacks on cities and targets in North Vietnam during the "Christmas bombings" in 1972. The peace agreement was signed on the 27th of January in 1973 in Paris. Photo: Werner Schulze --- Image by © Werner Schulze/dpa/Corbis © Corbis. All Rights Reserved. 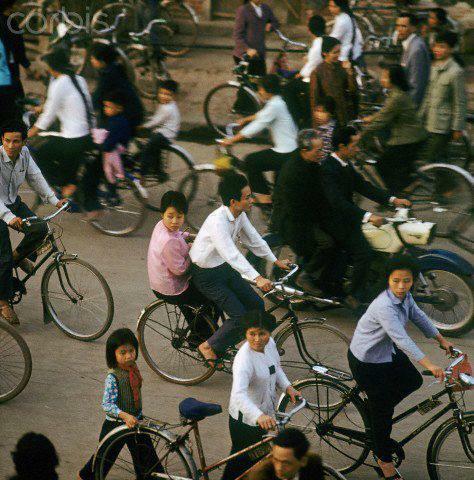 01 Mar 1973, Hanoi, Vietnam --- Bicycles are THE means of locomotion and transportation in Vietnam, as well here in Kham Thien, a part of Hanoi in North Vietnam, in March 1973. Photo: Werner Schulze --- Image by © Werner Schulze/dpa/Corbis © Corbis. All Rights Reserved. 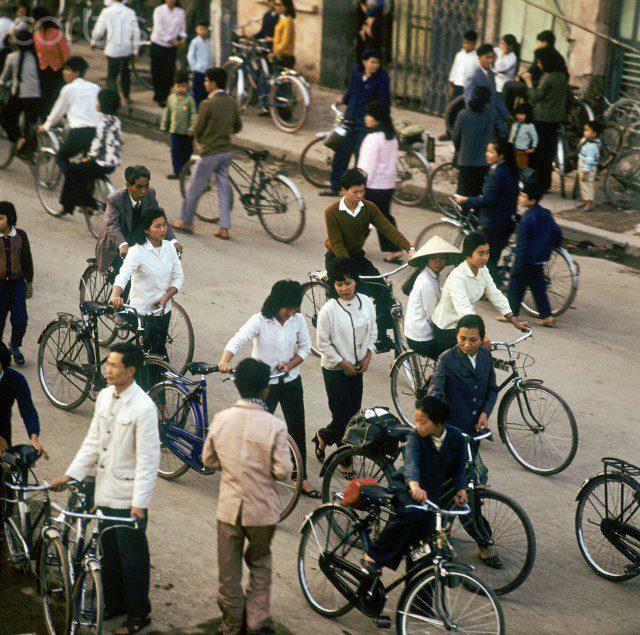 01 Mar 1973, Hanoi, Vietnam --- Vietnamese people with bicycles in a street in Hanoi in North Vietnam, photographed in March 1973. The United States of America flew about 2,000 air attacks on cities and targets in North Vietnam during the "Christmas bombings" in 1972. The peace agreement was signed on the 27th of January in 1973 in Paris. Photo: Werner Schulze --- Image by © Werner Schulze/dpa/Corbis © Corbis. All Rights Reserved. 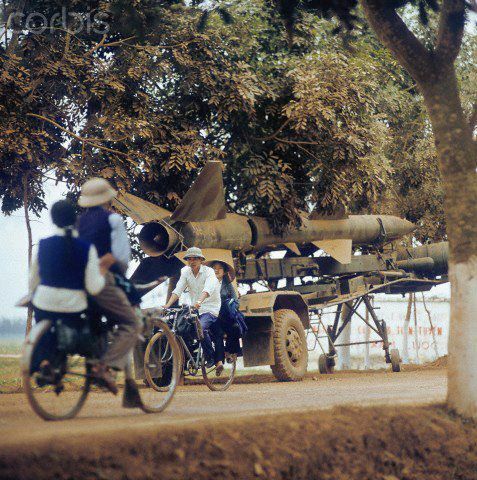 01 Mar 1973, Hanoi, Vietnam --- Vietnamese people drive past a parked missile at the side of the street on their bicycles, photographed in March 1973 in North Vietnam on Street Number 1. Street Number 1, built by the French, as main connection line to South Vietnam with more than 1,500 kilometres lenght was a strategic target in Vietnam War, The United States of America flew about 2,000 air attacks on cities and targets in North Vietnam during the "Christmas bombings" in 1972. The peace agreement was signed on the 27th of January in 1973 in Paris. Photo: Werner Schulze --- Image by © Werner Schulze/dpa/Corbis © Corbis. All Rights Reserved. 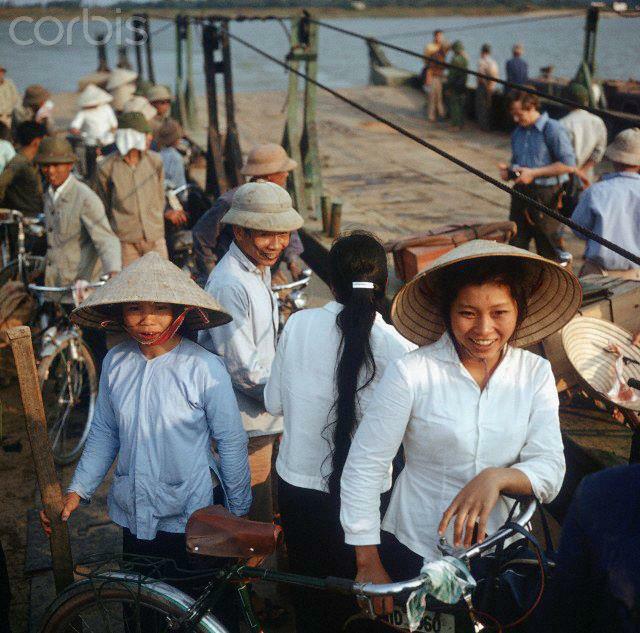 01 Mar 1973, Dong Hoi, Vietnam --- Vietnamese people with bicycles on a ferry, photographed in March 1973 in North Vietnam, south-eastern of Dong Hoi near the 17th degree of latitude, which is regarded as the border to South Vietnam. The United States of America flew about 2,000 air attacks on cities and targets in North Vietnam during the "Christmas bombings" in 1972. The peace agreement was signed on the 27th of January in 1973 in Paris. Photo: Werner Schulze --- Image by © Werner Schulze/dpa/Corbis © Corbis. All Rights Reserved. 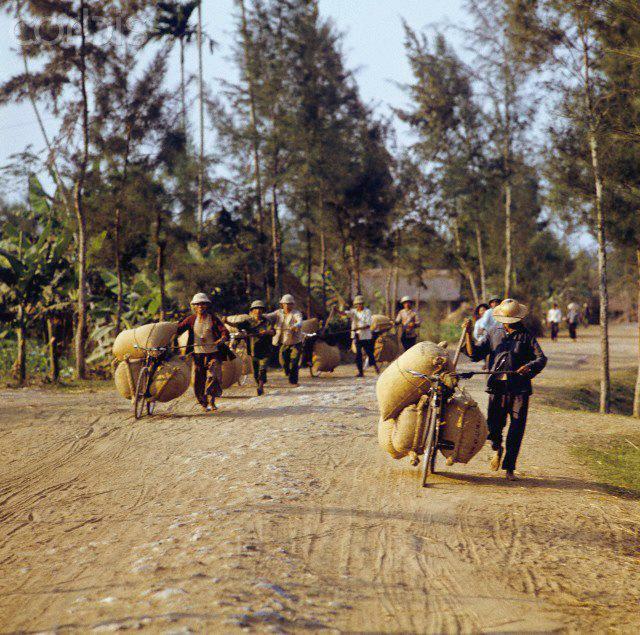 01 Mar 1973, Vinh, Vietnam --- Vietnamese people transport big bags, many of them filled with rice, on Street Number 1 in the direction of Hanoi near Vinh, photographed in March 1973 in North Vietnam. Street Number 1, built by the French, as main connection line to South Vietnam with more than 1,500 kilometres lenght was a strategic target in Vietnam War, The United States of America flew about 2,000 air attacks on cities and targets in North Vietnam during the "Christmas bombings" in 1972. The peace agreement was signed on the 27th of January in 1973 in Paris. Photo: Werner Schulze --- Image by © Werner Schulze/dpa/Corbis © Corbis. All Rights Reserved. 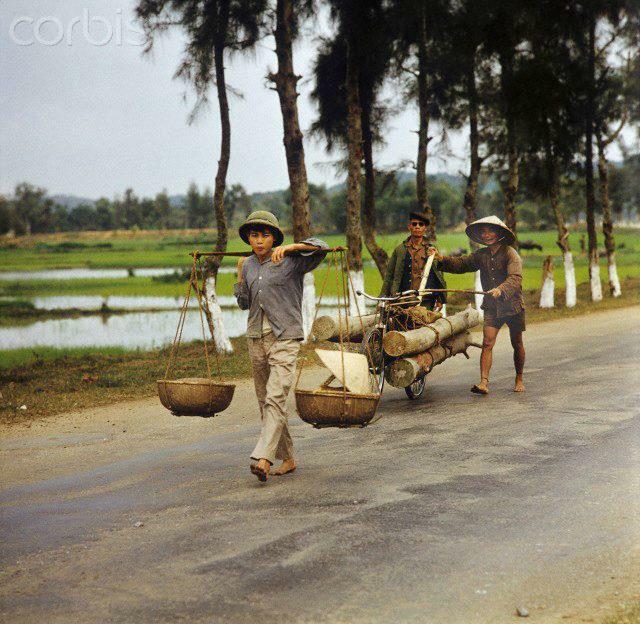 01 Mar 1973, Vinh, Vietnam --- A Vietnamese transports tree trunks, another carries loads at a bar on his shoulders, on Street Number 1 in North Vietnam, photographed in march 1973 near Vinh. 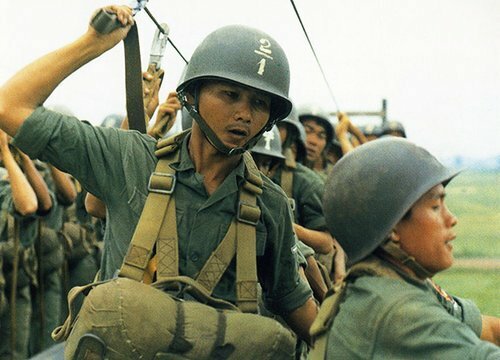 Street Number 1, built by the French, as main connection line to South Vietnam with more than 1,500 kilometres lenght was a strategic target in Vietnam War, The United States of America flew about 2,000 air attacks on cities and targets in North Vietnam during the "Christmas bombings" in 1972. The peace agreement was signed on the 27th of January in 1973 in Paris. Photo: Werner Schulze --- Image by © Werner Schulze/dpa/Corbis © Corbis. All Rights Reserved. 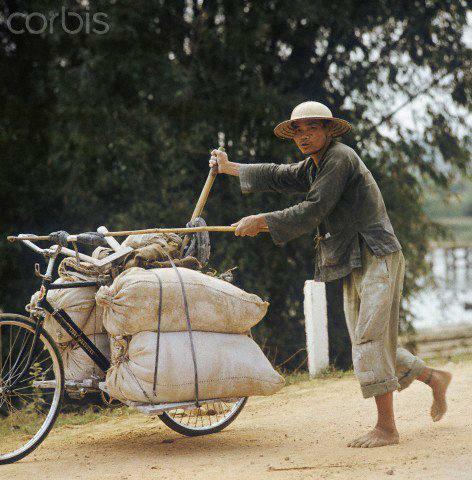 01 Mar 1973, Hanoi, Vietnam --- A Vietnamese transports bags on his bicycle on Street Number 1in North Vietnam, photographed in March 1973. Street Number 1, built by the French, as main connection line to South Vietnam with more than 1,500 kilometres lenght was a strategic target in Vietnam War, The United States of America flew about 2,000 air attacks on cities and targets in North Vietnam during the "Christmas bombings" in 1972. The peace agreement was signed on the 27th of January in 1973 in Paris. Photo: Werner Schulze --- Image by © Werner Schulze/dpa/Corbis © Corbis. All Rights Reserved. 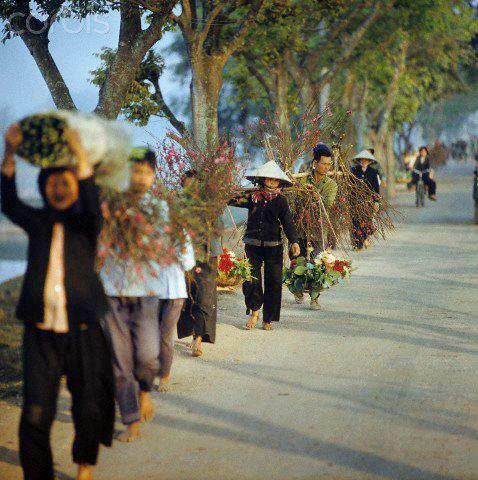 01 Mar 1973, Hanoi, Vietnam --- Vietnamese people carry plants and twigs with blooms, photographed in the flower village Nghi Tam near Hanoi in March 1973. 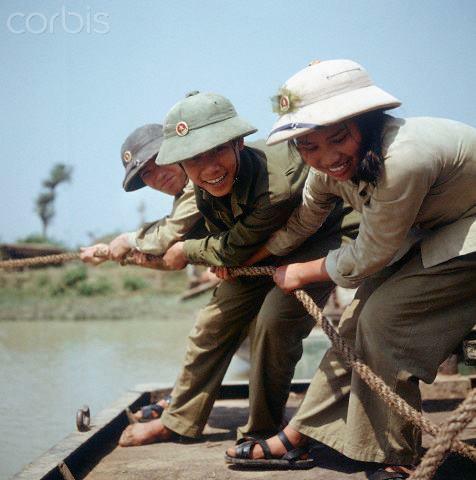 Photo: Werner Schulze | Location: Nghi Tam, Hanoi, Vietnam. --- Image by © Werner Schulze/dpa/Corbis © Corbis. All Rights Reserved. 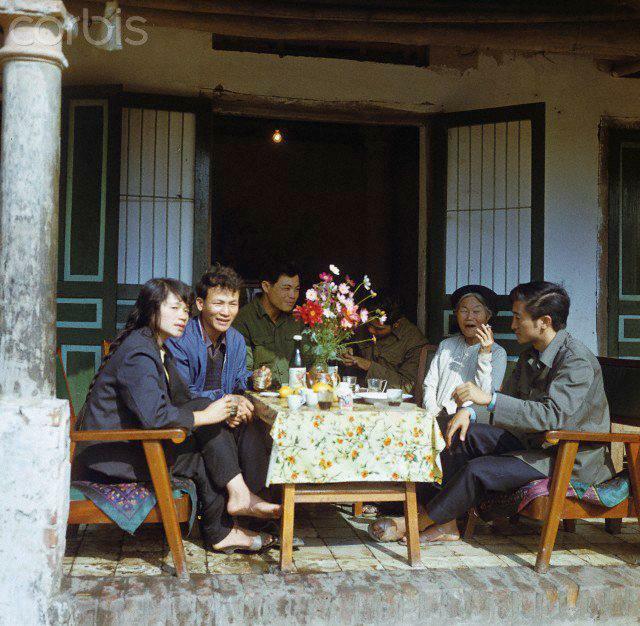 01 Mar 1973, Hanoi, Vietnam --- A group of young Vietnamese people sits with an old, smoking Vietnamese woman at a table with a vase full of flowers, photographed in the flower village Nghi Tam near Hanoi in March 1973. 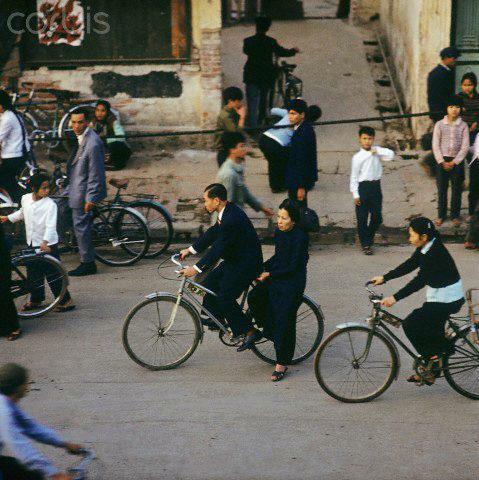 Photo: Werner Schulze | Location: Nghi Tam, Hanoi, Vietnam. --- Image by © Werner Schulze/dpa/Corbis © Corbis. All Rights Reserved. 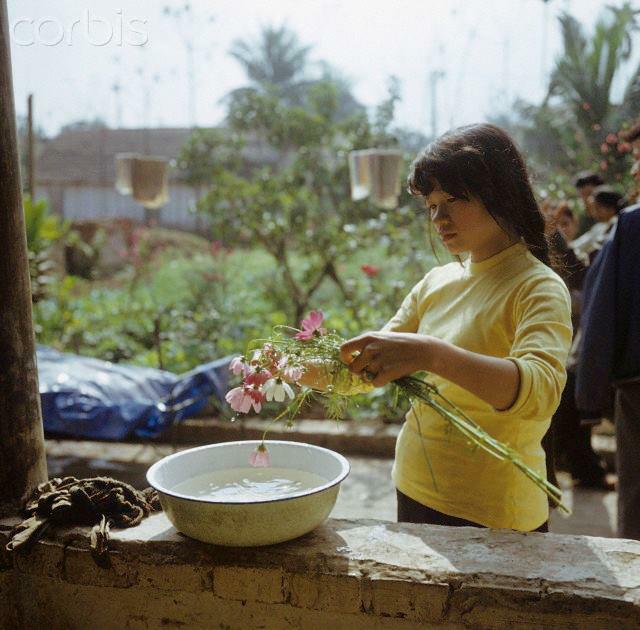 01 Mar 1973, Hanoi, Vietnam --- A Vietnamese woman treats flowers in a water bowl, photographed in the flower village Nghi Tam near Hanoi in March 1973. 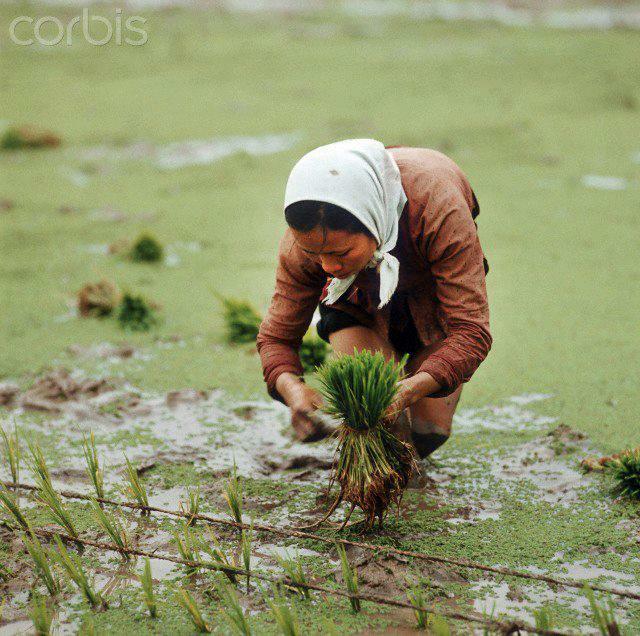 Photo: Werner Schulze | Location: Nghi Tam, Hanoi, Vietnam. --- Image by © Werner Schulze/dpa/Corbis © Corbis. All Rights Reserved. 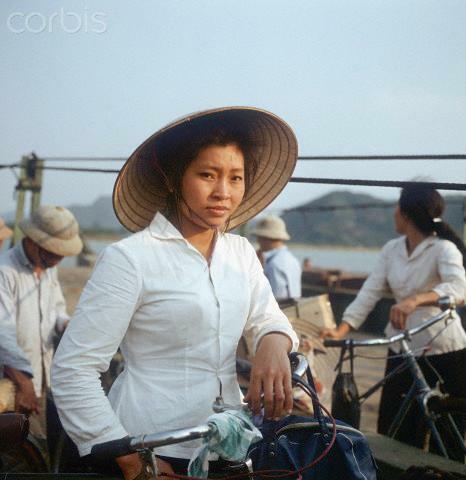 01 Mar 1973, Dong Hoi, Vietnam --- A Vietnamese woman with a bicycle and a straw hat on a ferry, photographed in March 1973 in North Vietnam, south-eastern of Dong Hoi near the 17th degree of latitude, which is regarded as the border to South Vietnam. The United States of America flew about 2,000 air attacks on cities and targets in North Vietnam during the "Christmas bombings" in 1972. The peace agreement was signed on the 27th of January in 1973 in Paris. Photo: Werner Schulze --- Image by © Werner Schulze/dpa/Corbis © Corbis. All Rights Reserved. 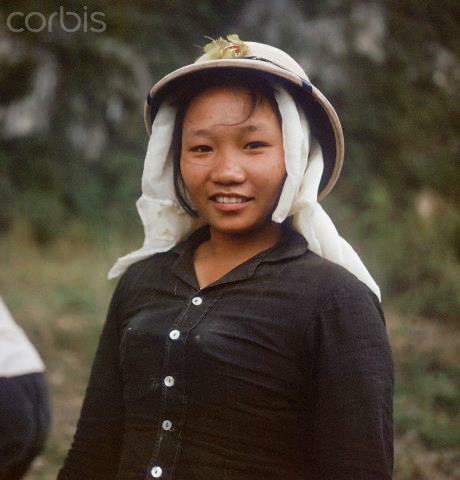 01 Mar 1973, Hanoi, Vietnam --- A young Vietnamese woman of a so-called "brigade" work at a destroyed traffic plant, photographed in March 1973 near Hanoi in North Vietnam along Street Number 1. 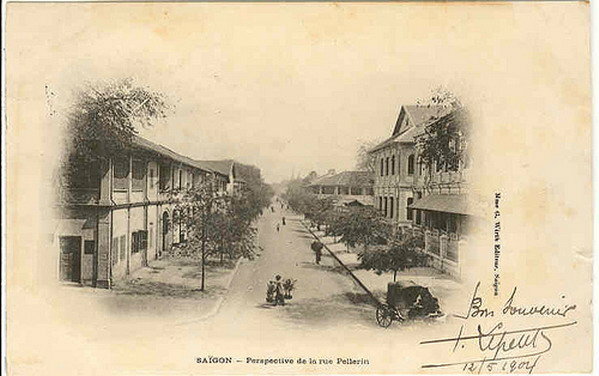 Street Number 1, of 1,500 kilometres length and as connection line to South Vietnam, had been built by the French and was a strategic target in Vietnam War. The United States of America flew about 2,000 air attacks on cities and targets in North Vietnam during the "Christmas bombings" in 1972. The peace agreement was signed on the 27th of January in 1973 in Paris. Photo: Werner Schulze --- Image by © Werner Schulze/dpa/Corbis © Corbis. All Rights Reserved. 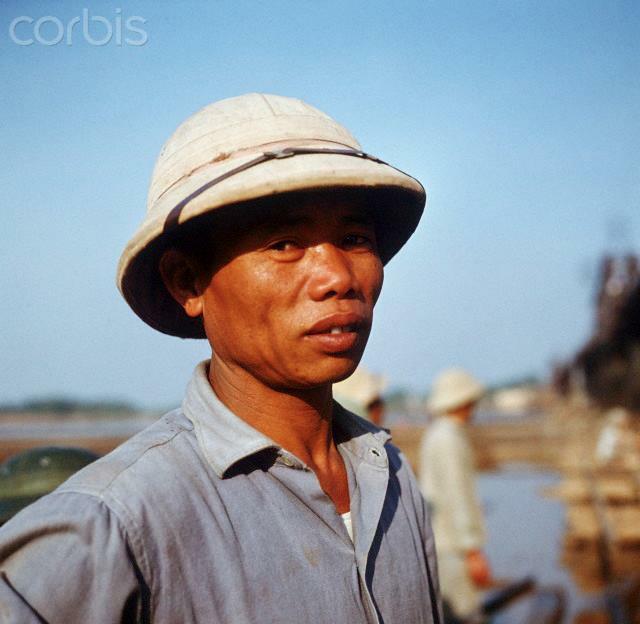 01 Mar 1973, Hanoi, Vietnam --- A Vietnamese looks into the camera in front of the Long Bien bridge, which spans the Red River in Hanoi with a length of 1,683 metres. 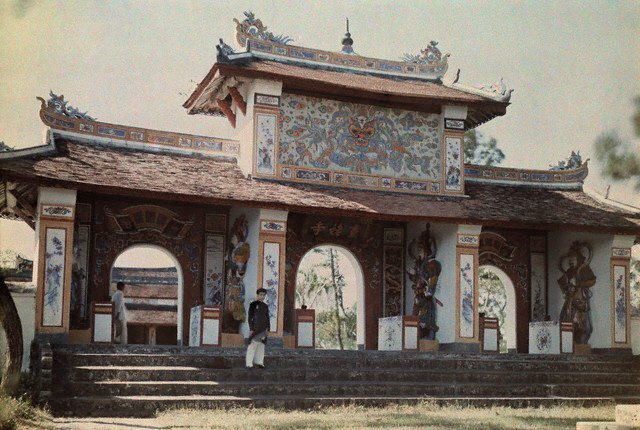 Workers start to reconstruct it, photographed in March 1973. 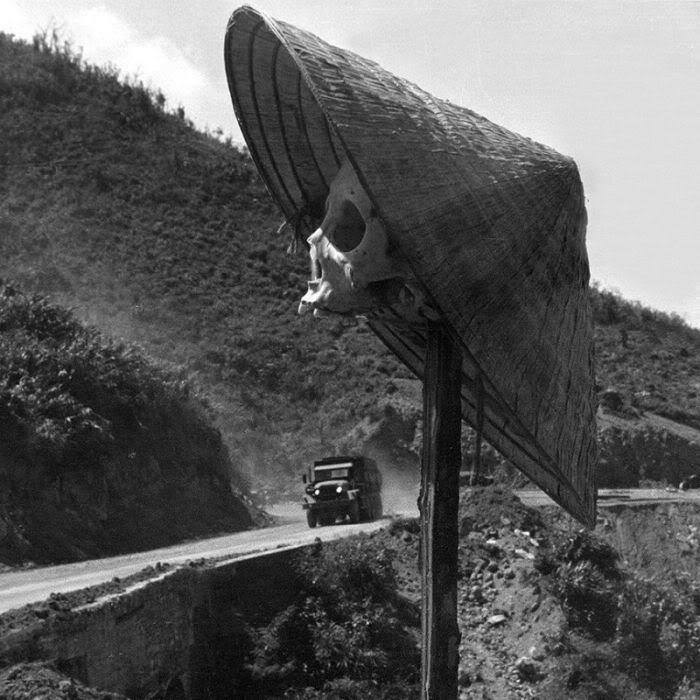 The railway bridge of strategic importance from the beginning of the 20th century was destroyed several times in US air raids during Vietnam War. 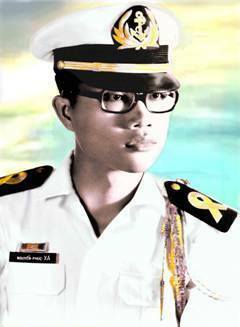 The United States of America flew about 2,000 air attacks on cities and targets in North Vietnam during the "Christmas bombings" in 1972. The peace agreement was signed on the 27th of January in 1973 in Paris. Photo: Werner Schulze --- Image by © Werner Schulze/dpa/Corbis © Corbis. All Rights Reserved. 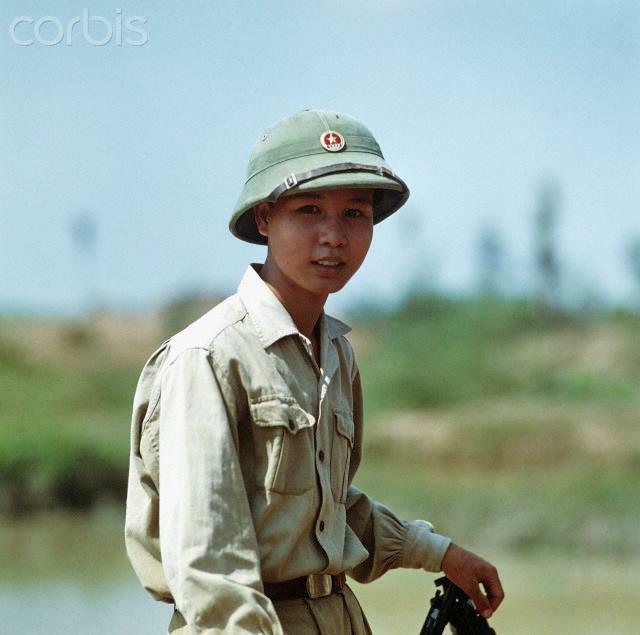 01 Mar 1973, Vinh, Vietnam --- A Vietnamese soldier on a ferry near Hue, photographed in March 1973 in North Vietnam. The peace agreement was signed on the 27th of January in 1973 in Paris. The United States of America flew about 2,000 air attacks on cities and targets in North Vietnam during the "Christmas bombings" in 1972. Photo: Werner Schulze --- Image by © Werner Schulze/dpa/Corbis © Corbis. All Rights Reserved. 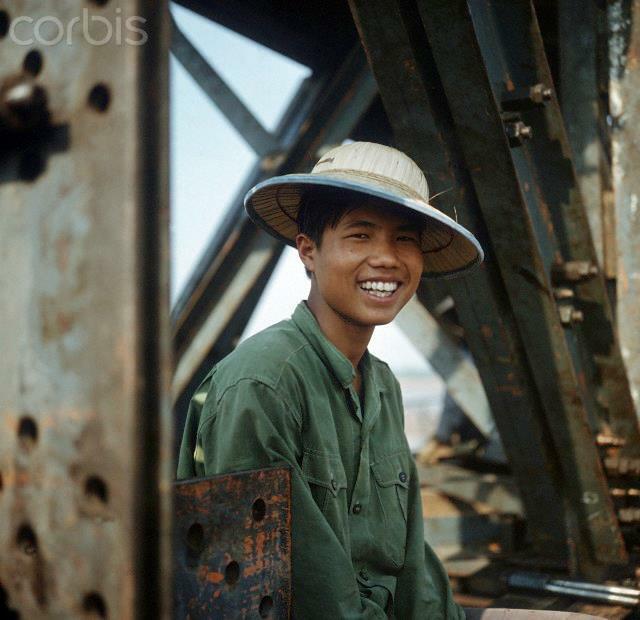 01 Mar 1973, Hanoi, Vietnam --- A young Vietnamese laughs into the camera between the steel girders of the Long Bien bridge, which spans the Red River in Hanoi with a length of 1,683 metres. Workers start to reconstruct it, photographed in March 1973. 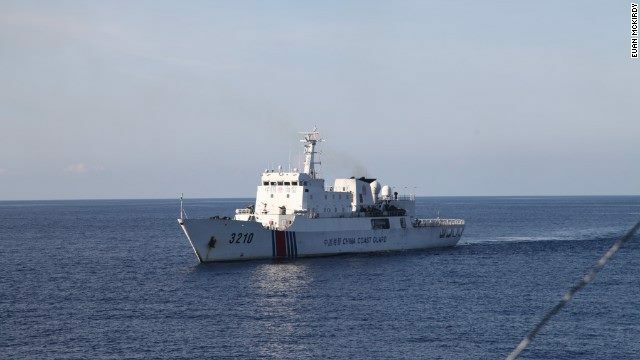 The railway bridge of strategic importance from the beginning of the 20th century was destroyed several times in US air raids during Vietnam War. The United States of America flew about 2,000 air attacks on cities and targets in North Vietnam during the "Christmas bombings" in 1972. The peace agreement was signed on the 27th of January in 1973 in Paris. Photo: Werner Schulze --- Image by © Werner Schulze/dpa/Corbis © Corbis. All Rights Reserved. 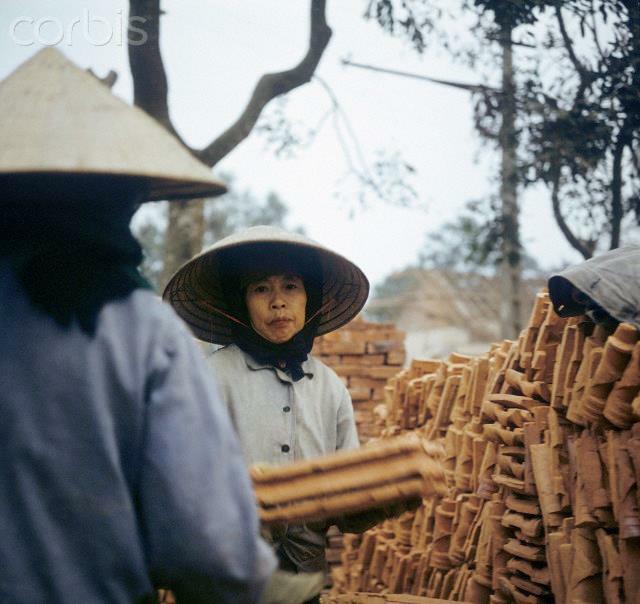 01 Mar 1973, Hanoi, Vietnam --- Two women load stones from a roofing tile factory on a lorry near Hanoi, photographed in Mach 1973 in The United States of America flew about 2,000 air attacks on cities and targets in North Vietnam during the "Christmas bombings" in 1972. The peace agreement was signed on the 27th of January in 1973 in Paris. Inhabitants dig out reusable bricks out of ruins. Photo: Werner Schulze --- Image by © Werner Schulze/dpa/Corbis © Corbis. All Rights Reserved.